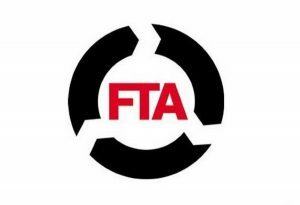 The Freight Transport Association (FTA) has been pleased to announce it will take on management responsibilities for the new Safe Loading Pass Scheme from the UK Petroleum Industry Association (UKPIA). Originally launched in 1989, the industry has changed considerably over the last two and a half decades, meaning new guidance has been required on the safe loading of fuel and other potential hazardous cargo for freight providers for many years. This amendment has now been carried out as part of UKPIA's latest update to the Safe Loading Pass Scheme, with the controlling of risks at the heart of new safeguards for those transporting such goods in the UK. An expanded online presence has now been completed for the initiative, with those seeking accreditation able to find all the details of safe loading and transport practices through a new dedicated website. It will also provide a portal for the registration of inspections and a mechanism for terminals to query vehicles' passes electronically, ensuring easier compliance and standards verification across the logistics network. Sally Thornley, FTA director of standards, audit and accreditation, said: "FTA is delighted at this important landmark in the development of the scheme, which will mean that standards within the sector are safeguarded and the transparency of the scheme is enhanced through the new website and database." FTA members are encouraged to make themselves aware of the changes to the Safe Loading Pass Scheme and to update their own practices and guidance to staff accordingly.